The Hatzel & Buehler Philadelphia office began their ongoing relationship with Comcast in 2005 in their Centre Square location, and continued in 2008 at The Comcast Tower. 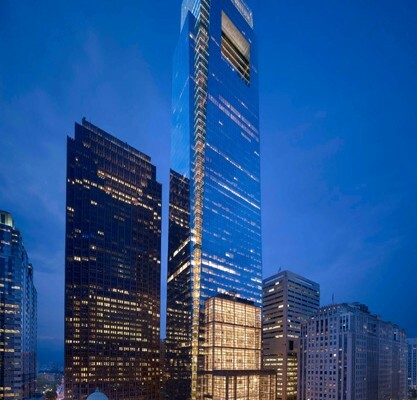 With a dedicated team of on-site electricians, Hatzel & Buehler continues to sustain all electrical needs throughout The Comcast Center and their surrounding portfolio of buildings. With readily available manpower, Hatzel & Buehler provides 24/7 service ensuring that all Electrical needs are being met and that potential disruptions to normal business operations are minimal. © Don Pearse Photographers, Inc.